We will help you discover what you need to pass the NCLEX test. 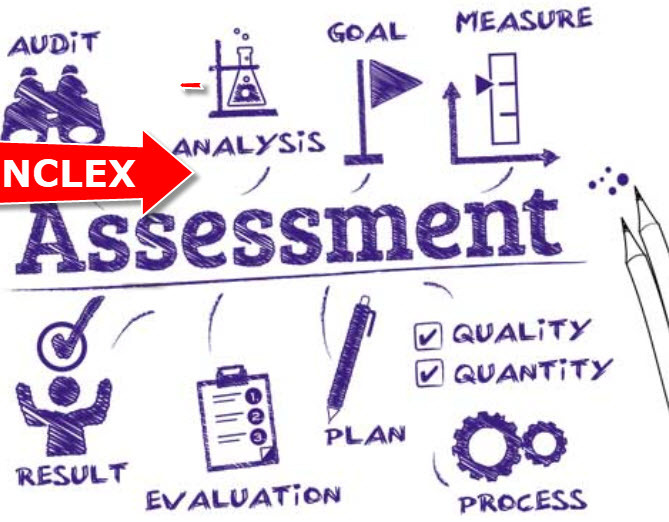 Each assessment includes a detailed calendar for what you should study and focus on each day between now and the day you take your NCLEX. Each calendar is unique. It is based on your strengths, weaknesses, the time you have to study, when you work and the days that you want to take off from studying. It also includes a coupon that will let you get access to our BOOT CAMP for $19.00 a month – you’ll get the coupon after you purchase the assessment. IMPORTANT. We use Saunders both for a content review and for NCLEX questions – you’ll use it to take three 100 question tests. You have two options – You can order the sixth edition used (note I wouldn’t recommend this) – click here – (there is a limited supply) or you can order the 7th edition for about $50 – click here. You can order the assessment for $29.00 (this is limited for the months of October / November). Click here to order. Step 1 – Fill out the information form below. Step 2 – If you have already taken an NCLEX test send the results to this email (email us). You can take a picture of the results. Step 3 – Assessment tests – You’ll need access to Saunders, either the 6th or 7th edition. You’ll want to take three assessment tests. You’ll email (email us) those results to us. You can forward the email you get or you can take a picture of the results. Step 4 – The phone call. We’ll call you and talk about how many hours a day you want to study, days you can’t study because of work or other activities and when you want to take your NCLEX. We’ll create a calendar for you. Step 5 – we’ll send you a calendar. This will give you day by day direction for what exactly to study to get you prepared for taking your NCLEX test.